Det är sällan jag hinner att fotografera eller orkar släppa med mig någon kamera under MTBO tävlingarna. Turligt nog hade vi vårt boende vi sista kontrollen under etapp 5 i årets O-ringen så det hanns med några bilder. 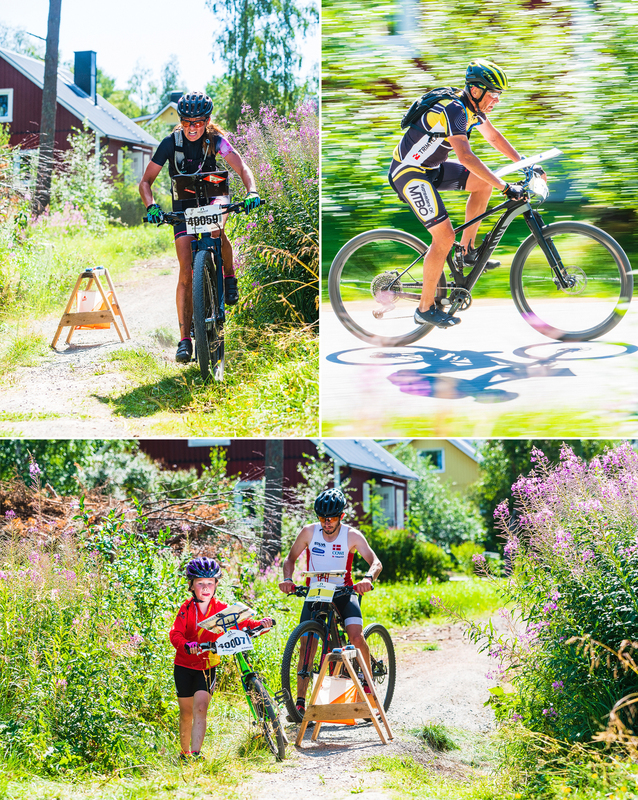 Mountain bike orienteering (MTB-O or MTBO) is an orienteering endurance racing sport on a mountain bike where navigation is done along trails and tracks. Compared with foot orienteering, competitors usually are not permitted to leave the trail and track network. Navigation tactics are similar to ski-orienteering, where the major focus is route choice while navigating. The main difference compared to ski-orienteering is that navigation is done at a higher pace, because the bike can reach higher speeds. As the biker reaches higher speeds, map reading becomes more challenging.